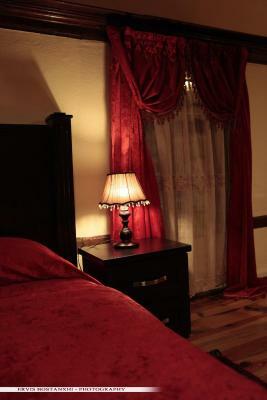 Lock in a great price for Guest House Bujtina Leon – rated 9.6 by recent guests! Literally everything about Bujtina Leon was perfect. The location is as central as you can be, the breakfast was wonderful, the staff were so nice and even did laundry for us once during the stay, there were bikes to borrow to ride around town or to surrounding villages, the building was beautiful and very traditional, and everything was clean (and cleaned every day). 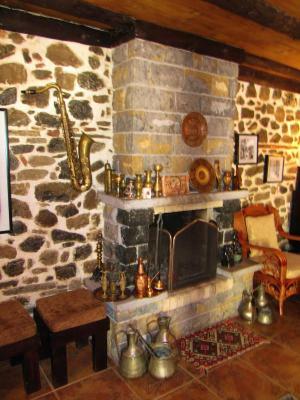 Plus, Korce is a beautiful and energetic city while still being relaxing and surrounded by nature. I could not recommend a property more highly! The owners were the 2 nicest people you could meet. We were there after traveling for 4 weeks and they offered to do laundry for us. When 2 of the member of the party got sick they were wonderful, helping us get medicine that was needed and helping us to find another hotel to stay in for one night when we had to extend our stay, (this hotel was booked). I would need a book to fully describe, but I will start with the friendliness of the owner and the breakfast which was a 5 course meal, different every day, Albanian specialties, and all amazing. We stayed in the suite which was huge and incredibly beautiful. The hotel grounds are also gorgeous. 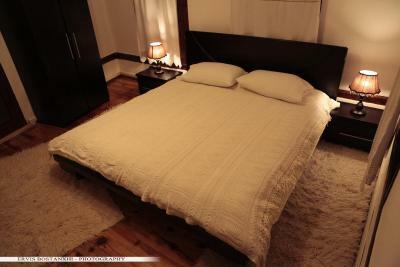 We traveled the Balkans for 16 days and this was the best hotel BY FAR we stayed in. Would stay here again in a heartbeat. Parking is directly in front of the hotel, so pretty easy. The hotel is located steps away from the church, so everything you want to see (including the Bazaar) is within easy walking distance. I cannot over stress how friendly and accommodating the owner was. 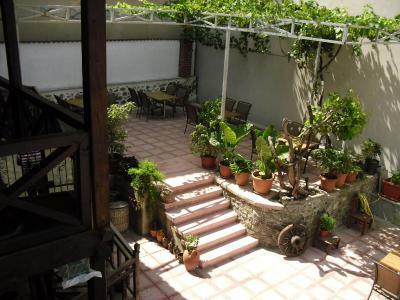 The staff are fantastic, the breakfast is unbelievable and location is perfect. 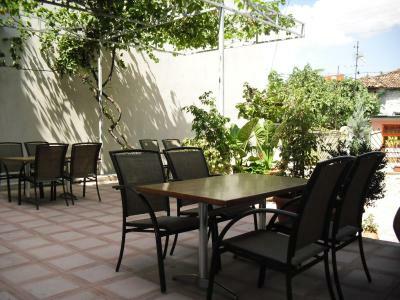 Fantastic location - tucked into a quiet corner of the old town area, yet just steps away from the pedestrian areas. 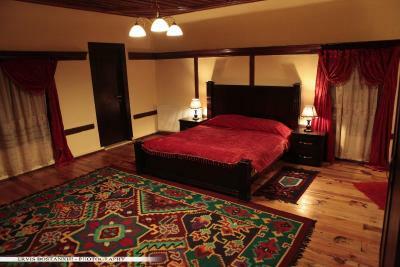 Room was clean, comfortable, and well cared for. As noted many times by others, this was by far our best included breakfast during our 3 weeks in Albania. 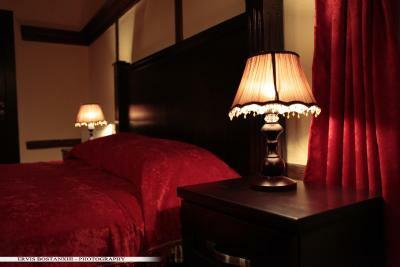 Owners were helpful in recommending places to eat and providing other information. Strong WiFi. There is only street parking, but since it's at the end of a dead end street, it's easy to get a spot as there is barely any traffic. Wonderful place to stay in a town that has really invested in itself. We enjoyed Korce! We liked everything! 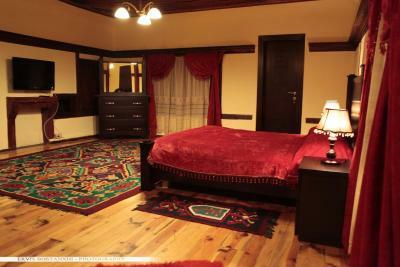 This is a little 5 room inn in the perfect location in old Korce. It is on a dead end street that opens to the cathedral concourse by foot. The room and bath were spotless and well stocked. We actually had a room with a small sitting room as well. The area was quiet, the gardens spectacular, the location perfect and the innkeepers were wonderful. 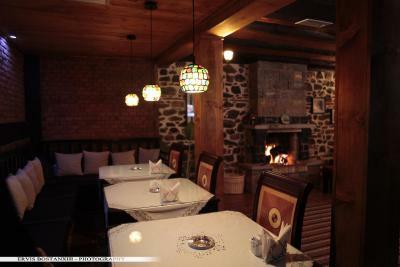 The breakfasts were all traditional Albanian food and delicious. This is a find! 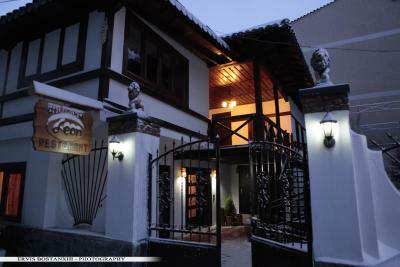 If you are going to Korce, this is the place to stay. Room was very spacious. Fantastic hosts. Great breakfast. Excellent location. Helped with parking the car, traditional accommodation in an original area which we always look for. 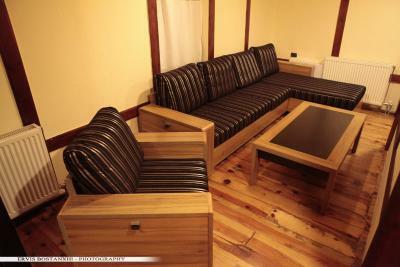 One of our best sellers in Korçë! Set in a building with traditional features of the local architecture, Guest House Bujtina Leon is located in the center of Korca. 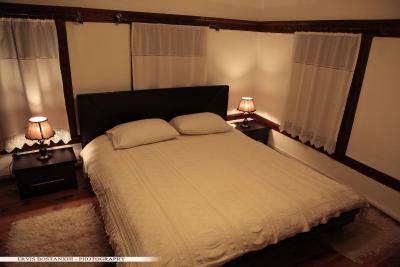 Featuring free Wi-Fi and free bike rental, it offers rooms and suites with an LCD cable TV. 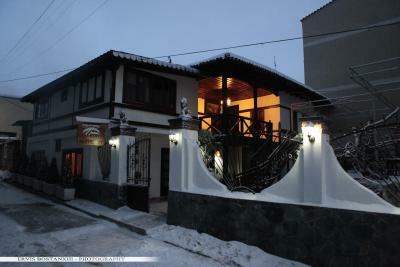 The property is located behind the Orthodox Cathedral, in a street paved in cobble stone and surrounded by old houses. 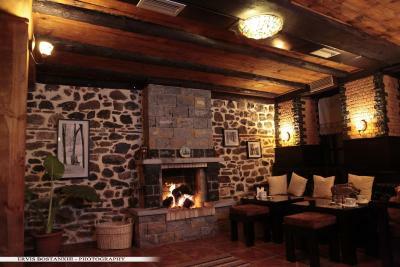 The reception area has a fireplace in front of which guests can enjoy wine, tea or homemade food. 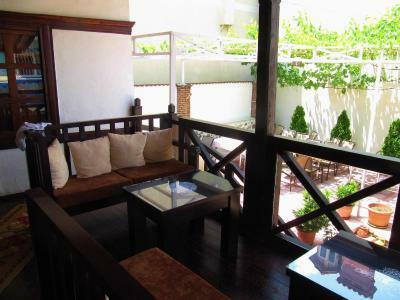 A common wooden terrace is also a good spot to relax. 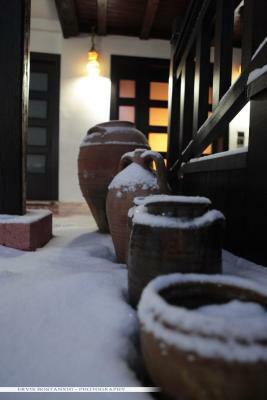 Likewise, a porch and a garden with flowers and oil lamps contributes to the specific ambiance of the guest house. 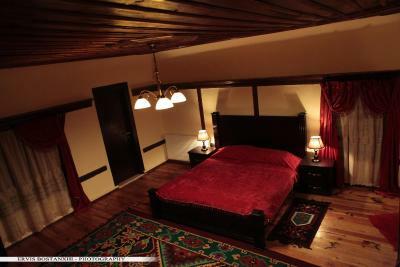 Only steps away, guests can visit the Museum of Medieval Arts, Archaeological Museum and other cultural sites. 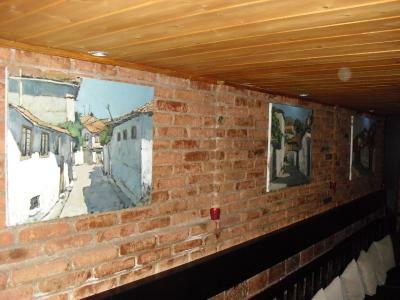 Korca Bus Station is 50 feet away, while the Old Bazaar can be reached in 250 feet. The Greek Border is within 22 mi from the Bujtina Leon. 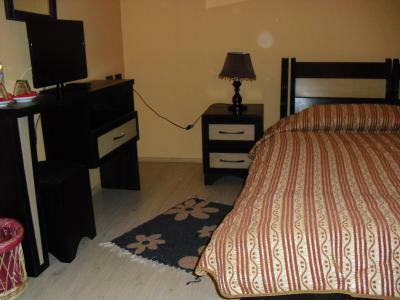 This property also has one of the top-rated locations in Korçë! Guests are happier about it compared to other properties in the area. 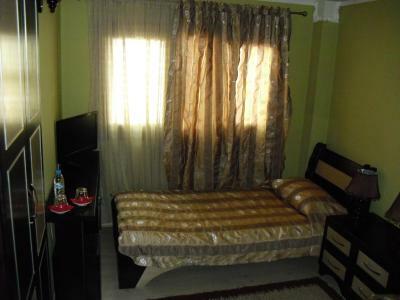 This property is also rated for the best value in Korçë! Guests are getting more for their money when compared to other properties in this city. 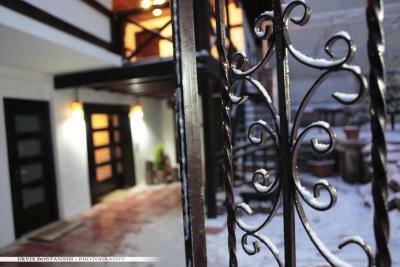 When would you like to stay at Guest House Bujtina Leon? 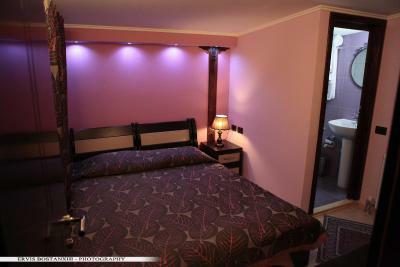 This air-conditioned room features an LCD cable TV. 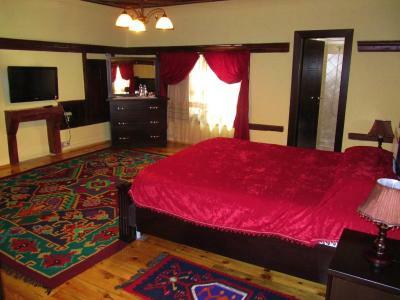 This suite features an LCD cable TV and hardwood floors. House Rules Guest House Bujtina Leon takes special requests – add in the next step! 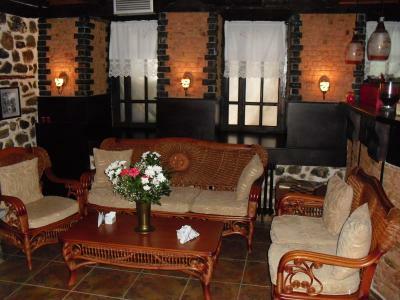 Cash Guest House Bujtina Leon accepts these cards and reserves the right to temporarily hold an amount prior to arrival. 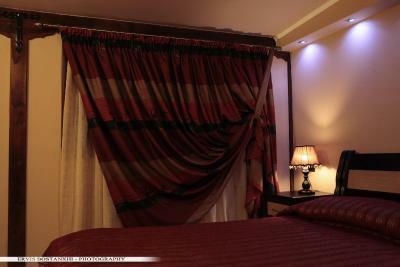 Guest House Bujtina Leon accepts these cards and reserves the right to temporarily hold an amount prior to arrival. Excellent breakfast. Quiet rooms. Nice staff. Very nice accomodation, very friendly hosts and a wonderful breakfast! 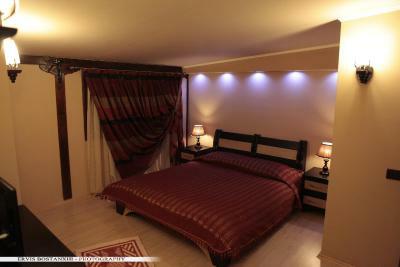 The best place during out stay in Albania. Best breakfast I ever had. 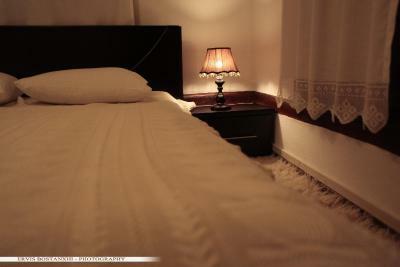 I loved my stay there and will surely repeat sooner or later. 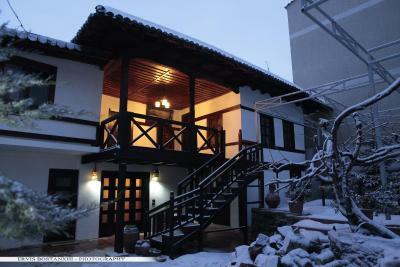 Perfect location to explore beautifull Korca. Incredible friendly staff. 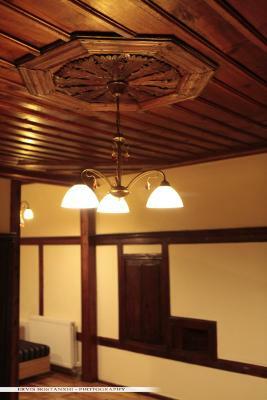 Cosy, authentic renovated old city house. Just perfect albanian breakfeast, freshly prepared every morning. big challenge for the not so hungry. Don´t miss the dessert. On request you will get real insider tips from the staff for you exploration in town and around. Hospitality means a lot in Albania. This is a true example for. We only stayed here 2 days...could have spent a week.